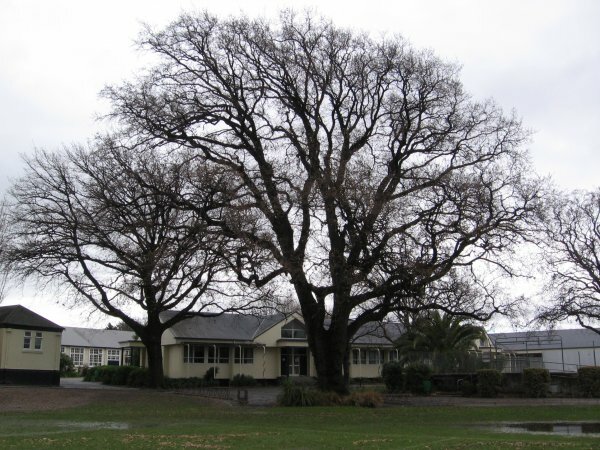 Two trees were planted in the Marlborough High School grounds on the 4th July 1902 as a commemoration of the Coronation of King Edward VII and Queen Alexandra. This tree was planted by George Benning, the youngest pupil at that time (Ballinger & James 1999). 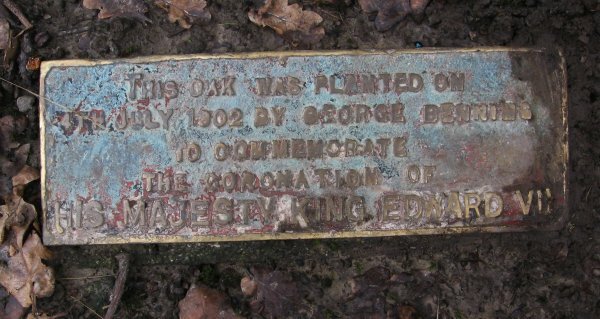 See record MR/0583 to view the Queen Alexandra Oak. Branching into two main stems at 5m. 13 Jul 2013 Cadwallader, B.G. 01 Jun 1999 Ballinger R, & James, D.R. Located on the west side of the main block.